Visitors to our villa in Andalucia usually list the Alhambra as one of their 'must-sees'. In a recent international competition, the Alhambra of Granada narrowly missed being selected as one of the new Seven Wonders of the World – it is, apparently, the ninth! This may well come as a relief to the people of Granada, who last year received over two and a half million visitors, drawn by the spectacular and exotic beauty of the Alhambra, home of the Nasrid dynasty, the last Muslim rulers in Spain. It is an oft-quoted tale how Boabdil, defeated ruler of Granada, could not contain his tears as he looked back at the beautiful city he was forced to leave behind in 1492. His formidable mother, Aisha, had little pity for him. “You weep like a woman”, she scolded, “for what you could not defend as a man”. Visitors to Granada gazing at the glorious Alhambra, backed by the snow-capped mountains of the Sierra Nevada and overlooking the lush green vega below, will understand the reason for Boabdil’s sadness. The Nasrid palaces of the Alhambra are at the top of the agenda for many guests at our Andalucia villa and justifiably so. Such magnificent examples of Islamic art and decoration are impossible to match anywhere else in Europe. The intricate Moorish design of the Royal Palace is a unique sight. Since pictorial representation of humans is uncommon in Islam, artists concentrated on geometric patterns and calligraphy, creating startlingly beautiful results within these limitations. The elaborate lace-like ceilings of delicate plaster ‘stalactites’ are quite remarkable. The Moors were renowned for their love of gardens and visitors will find the cooling patios, fountains and lily ponds of the Generalife (summer palace of the Nasrids) to be a welcome antidote to the heady heat of the Granada summer day. While a visit to the Alhambra alone would be the undeniable highlight of any trip to Spain, there is far more to see in Granada. The old Moorish quarter of the Albaicin, overlooked by the Alhambra, is a wonderfully atmospheric area of narrow whitewashed streets, (impassible for vehicles! ), exotic bazaars and Moorish tea-shops. This area gives the visitor a taste of what life must have been like in Moorish Granada, eight hundred years ago! Visit the Arab baths (Hammam) if you have time before returning to the villa. The nearby district of Sacromonte, originally home to a large population of gypsies living in cave-houses, is still a good place to see an authentic flamenco performance. Some of the original cave-houses still exist and these are the locations for improvised flamenco shows. Finally, the Cathedral of Granada is a Renaissance jewel, and is the final resting place of Ferdinand and Isabella, the Catholic Kings whose marriage united most of Spain in the fifteenth century and whose rule changed the future of Spain forever. Granada is a university town (the university is one of the oldest in Spain), which means it has a huge array of vibrant and lively bars and restaurants for the visitor to enjoy, many of which are open until the early hours of the morning. The Albaicin is the centre of much evening activity with many bars serving delicious tapas, often to the sounds of flamenco. To visit the Alhambra while staying at our luxury villa in Andalucia it is advisable to book in advance, particularly in the summer. 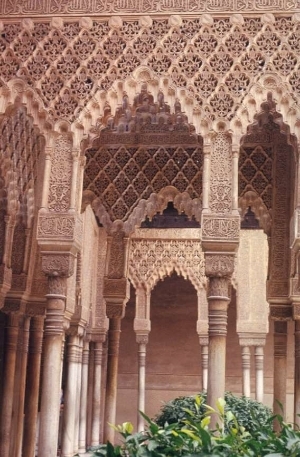 See our page on how to book tickets for the Alhambra for information on how to do this.